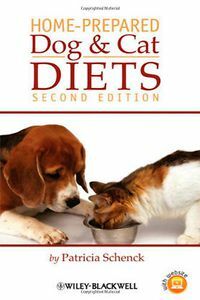 Home-Prepared Dog and Cat Diets, Second Edition provides an introduction to nutrition of the healthy dog and cat and an extensive discussion of medical disorders that can be managed in part through diet. Presenting easy-to-follow recipes that can be prepared at home, this new edition of Donald Strombeck’s classic handbook has been completely rewritten by new author Patricia A. Schenck to reflect the latest nutritional recommendations based on current research. New chapter topics include feeding the puppy and kitten; feeding the pregnant or lactating dog or cat; feeding the senior pet; feeding the performance dog; and the role of diet in pets with cancer. Diets are now listed together in a cookbook style for ease of use, and recipes are adjustable for any size dog or cat, allowing exact nutritional values to be calculated. Nutrient content for protein, fat, carbohydrate, and fiber have been provided for every diet, along with the nutrient density. A companion website features downloadable spreadsheets with complete nutritional breakdowns for each recipe. Useful for both veterinarians and pet owners alike, Home-Prepared Dog and Cat Diets, Second Edition is a unique handbook written by an expert in the field providing an introduction to the nutritional management of dogs and cats with easy-to-use recipes for home-prepared diets.